Fred Lanchester enjoyed science and mathematics at school and was accepted by the Hartley Institution in Southampton (now the University of Southampton) at the age of 13, and had to wait a year before taking up his place. After two years of studying he won a national scholarship to the combined Normal School of Science (later the Royal College of Science) and the Royal School of Mines in London. In his first two years he learned the fundamentals of physics and chemistry, but aged 20 he abandoned the course without taking his final exams. This left him without qualifications and little money and his first job in a Patent Office for sixpence an hour provided him with his first inspiration for his own patent granted in 1888 for an isometrograph – a tool for ruling parallel lines. Despite his many achievements Fred still lacked formal recognition of his talents until 1919 when he was awarded the honorary degree of Doctor of Laws by the University of Birmingham on the 18th September, just a couple of weeks after he married Dorothea. In recognition of his achievements Lanchester College of Technology opened in 1961 named after Fred and became Lanchester Polytechnic in 1970. 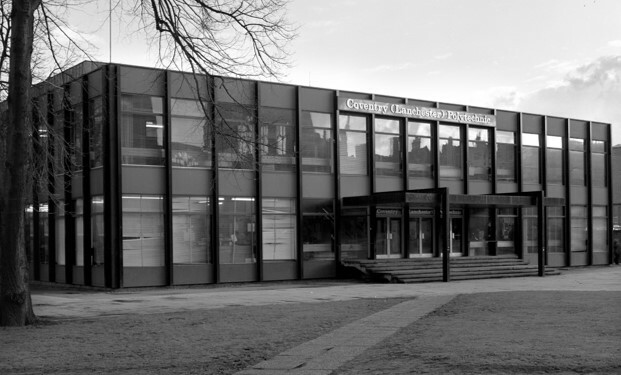 Finally it became Coventry University in 1992 and the Lanchester Library was opened in 2001.